Routine dental checkups and visits are important to the maintenance of	your overall oral health. At	Your Smile, we offer a wide variety of general dentistry services for patients of	all ages, including regular exams and cleanings as a preventive measure. These regular checkups not only help to make your smile look and feel	healthier by removing the natural buildup of plaque and tartar on your	teeth, but we can also help you identify and treat any serious oral issues	before the problem gets worse. Early detection of oral problems can save	you time and a lot of pain. 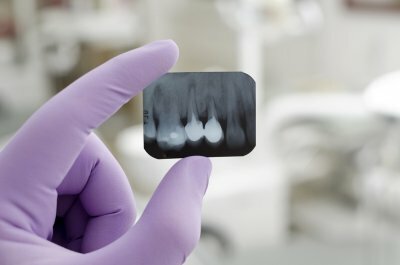 Digital X-rays: As part of our thorough examination, we use digital X-rays to check for	hidden decay and tooth problems. We recommend a full mouth set on your	first visit and once every three to five years, at least. Fluoride treatment: There are many benefits to having in-office fluoride treatments, including	if you have a history of dental decay or if we determine that your oral	hygiene habits, medical condition, or diet requires extra care. Sealants: If a tooth has deep grooves that are susceptible to decay, we may recommend	having a sealant applied. This coating is put on the chewing surface of	your teeth to help prevent the tooth from decay. Home care: In our dental office, we focus heavily on preventative care and oral	health education, which includes home care techniques. We may discuss	your brushing, flossing, and rinsing habits during your next appointment. We understand that each patient is different, which is why we offer personalized	care to meet your unique needs. With over a decade of experience in dentistry,	our Bel Air dentist is always ready to provide exceptional oral health	care to all patients. Call our Bel Air dentist at 410-877-3000	to make an appointment for your bi-annual exam and cleaning!